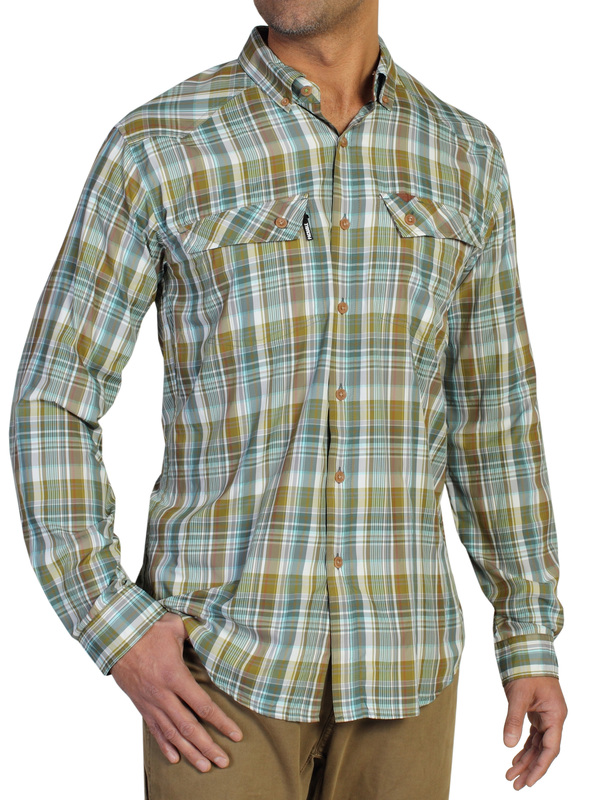 We at TravGear love a good travel shirt. Keep it light, keep it crease-free, and make it quick to dry. We wash, we wear, we travel light. It’s what we do – but we need help. ExOfficio is one of the top brands for producing travel-wise gear, but despite weighing a mere five ounces, the Minimo is a rare miss. Travel shirts don’t need to be super-smart, but it’s crucial we can attend a casual meeting or visit a decent restaurant while wearing one. After all, we’re not travelling with much stuff; that’s the whole point. While we’re thankful the Minimo isn’t the classic khaki ‘trekking shirt’ that often gets confused with a ‘travel shirt’, the Minimo nevertheless isn’t as versatile as it should be. It’s baggy, it’s thin and it’s just too shiny to look anywhere near smart. Whatever we do to it, the Minimo is always creased (and don’t even think of putting an iron on it). Although it’s relatively cool to wear in stuffy or humid climates and does have ventilation panels, the latter collapse too easily, and it doesn’t wick away sweat as well as it should. In fact, it seems completely impervious to moisture; a blast of cold air as we walked into an airport left us freezing cold. The sleeves roll-up easily and there’s a nice, secure zipped pocket. It’s UPF 50+, and it dries really quickly, too. Fold it, roll it, whatever – it always looks like a scrunched-up plastic bag, which puts the Minimo down a peg. We love that ultra-light thinking behind the Minimo, but it lacks the versatility of the best travel shirts.